Nanamaterials are capable of enhancing an increasing number of next-generation technologies. They guarantee to increase the speed of computer chips and also increase the resolution of medical imaging devices. Nanomaterials also improve the energy efficiency of electronics. However, pervading nanomaterials with the correct properties can be both expensive and time consuming. A rapid, quick and cost-effective method for developing bulk quantities of diamond-based hybrid nanomaterials will have the potential to initiate the field research to applications. A team of researchers from University of Maryland created a technique to construct large quantities of diamond-based hybrid nanoparticles from scratch, thus circumventing several of the issues associated with current techniques. The method is illustrated in the June 8 issue of the Nature Communications journal. 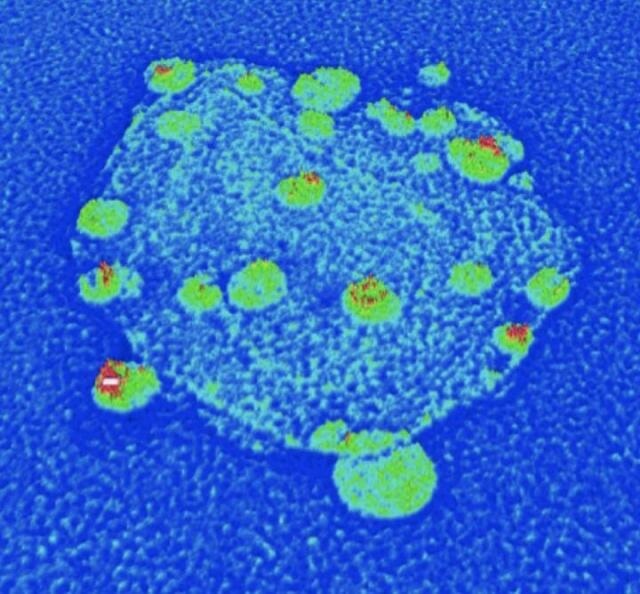 The method starts with minuscule, nanoscale diamonds that comprise a specific type of contamination – one nitrogen atom - where a carbon atom should be with an empty space right next to it, thus causing a second missing carbon atom. This “nitrogen vacancy” contamination offers each diamond special electromagnetic and optical properties. By linking other materials to the diamond grains, such as semiconducting materials referred to as “quantum dots” or metal particles, the team can build a number of tailored hybrid nanoparticles, including nanoscale magnets and with accurately customized properties. If you pair one of these diamonds with silver or gold nanoparticles, the metal can enhance the nanodiamond’s optical properties. If you couple the nanodiamond to a semiconducting quantum dot, the hybrid particle can transfer energy more efficiently. Min Ouyang, an associate professor of physics at UMD and senior author on the study. Also, according to Ouyang, the proof indicates that a single nitrogen vacancy displays quantum physical properties and could act as a qubit or quantum bit, at room temperature. Qubits are the practical units of quantum computing technology that is quite elusive and may potentially transform the way humans save and process data. Almost all qubits researched to date need ultra-cold temperatures to operate accurately. A qubit that functions at room temperature would represent a great step forward, facilitating the integration of quantum circuits into commercial, industrial, and consumer-level electronics. The novel diamond-hybrid nanomaterials illustrated in Nature Communications shows immense potential to improve the performance of nitrogen vacancies when used as qubits, Ouyang noted. These applications do have great potential for the future; however, the key breakthrough is the method formulated by Ouyang and colleagues for constructing the hybrid nanoparticles. Pairing nanodiamonds with matching nanoparticles has been done before by other researchers. Their efforts depended on comparatively vague techniques, such as manually installing the particles and diamonds next to each other onto a larger surface in a sequence. These techniques are expensive, take time, and initiate a host of complications, stated the researchers. The technique created by Ouyang and his colleagues, UMD physics research associate Jianxiao Gong and physics graduate student Nathaniel Steinsultz, also enables accurate control of the particles’ properties, such as the total number of non-diamond particles and composition. The hybrid nanoparticles could speed the design of room-temperature qubits for brighter dyes for biomedical imaging, quantum computers, and ultra sensitive temperature and magnetic sensors. "Hybrid materials often have unique properties that arise from interactions between the different components of the hybrid. This is particularly true in nanostructured materials where strong quantum mechanical interactions can occur,” said Matthew Doty, an associate professor of materials science and engineering at the University of Delaware who was not involved with the study. “The UMD team's new method creates a unique opportunity for bulk production of tailored hybrid materials. I expect that this advance will enable a number of new approaches for sensing and diagnostic technologies." The special properties of the nanodiamonds are established by their nitrogen-vacancies, which cause flaws in the crystal structure of the diamonds. Pure diamonds comprise a systematic lattice of carbon atoms and are fully transparent. Nonetheless, pure diamonds are quite uncommon in natural diamond deposits; most have flaws resulting from non-carbon contaminants like boron, nitrogen, and phosphorus. Such flaws increase the subtle and desirable color differences observed in gemstone diamonds. The nanoscale diamonds used in the research were devolved artificially, and contain at least one nitrogen vacancy. This impurity results in a modified bond structure in the otherwise systematic carbon lattice. The modified bond is the source of the quantum physical, optical, and electromagnetic properties that make the diamonds functional when coupled with other nanomaterials. Although the current research illustrates diamonds with nitrogen substitutions, Ouyang states that the method can be adopted for other diamond impurities as well, each of which could pave the way for new possibilities. A major strength of our technique is that it is broadly useful and can be applied to a variety of diamond types and paired with a variety of other nanomaterials. It can also be scaled up fairly easily. We are interested in studying the basic physics further, but also moving toward specific applications. The potential for room-temperature quantum entanglement is particularly exciting and important.